This opportunity is for Licenses Only, you will need to find a building in the compliant zone anywhere in the City of Los Angeles to transfer these licenses. Here are the licenses that come with the business below: Retail Storefront and Retail Delivery, (Both Uses Medical and Recreational) Cultivation up to 10,000 sq ft (Both Uses Medical and Recreational) Manufacturing (Both Uses Medical and Recreational) Distribution (Both Uses Medical and Recreational) We have all the paperwork that we can send over immediately. This licenses can be verified on the cities website that has already been approved by both the City and State. This will be a flag ship store opportunity anybody looking to make a mark in the Los Angeles market. Recap: Micro-Business Licenses New operator needs a location to transfer licenses too What is a Micro-Business License? A microbusiness license allows a licensee to engage in the cultivation of cannabis on an area less than 10,000 square feet and to act as a licensed distributor, Level 1 manufacturer (Type 6), and retailer, as specified in an application. In order to hold a microbusiness license, a licensee must engage in at least three (3) of the four (4) listed commercial cannabis activities. 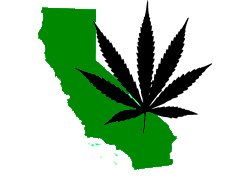 Licenses will be required to comply with all rules and regulations, including applicable regulations adopted by the California Department of Food and Agriculture and the California Department of Public Health, governing the activities they are engaged in. Asking Price: $5,500,000.00 OBO If you are looking for vertical integration in the most demanded market in the state this is the opportunity. Must sign an NDA/Waiver and have proof of financials before any other detailed information is released.